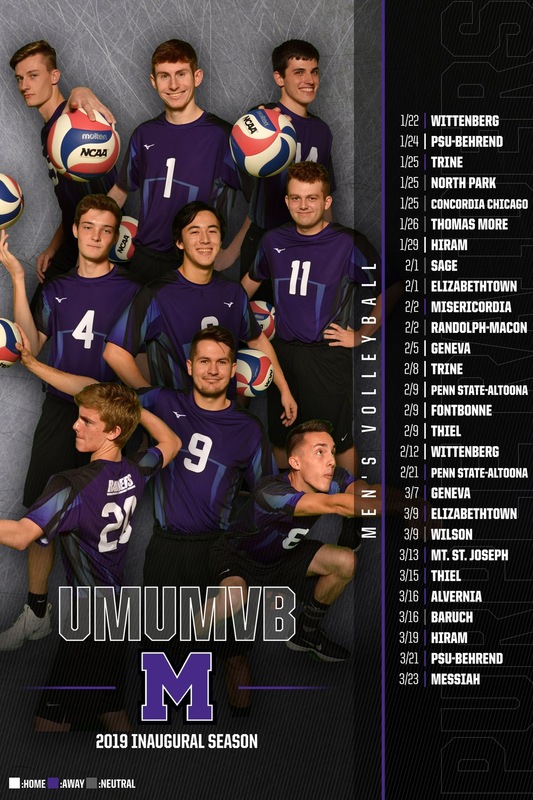 ALLIANCE, Ohio -- The Mount Union men's volleyball team (5-11) dropped a pair of three-set matches to Fontbonne (Mo.) and Penn State-Altoona (Pa.) Saturday afternoon on the second day of competition at the 2019 Purple Raider Rumble. Against Fontbonne (7-0), Mount Union went 16-25, 16-25 and then fell short in the third set at 23-25. Freshman opposite hitter Mark Bruns (Columbus/Upper Arlington) tallied 10 kills in the match. Most of Bruns' kills came off of freshman setter Jeremy Leyden (Cuyahoga Falls/Archbishop Hoban) as he recorded 20. Seven different Raiders chipped in digs against the Griffins but Leyden and freshman libero Steven Grenier (Hawthorn Woods, Ill./Lake Zurich) each collected eight to lead the team. Bruns, alongside freshman middle hitter Sam Matonis (Macedonia/Walsh Jesuit), recorded two blocks apiece in the match. Against Penn State-Altoona (5-4),the Raiders fell in three sets by scores of 22-25, 13-25, with another close third set at 23-25. Bruns was back in action with 11 of Mount Union's 30 kills, while Leyden dished out 25 assists. Grenier and Matonis continued to lead the defense as Grenier collected 12 digs while Matonis had a team-high three blocks. Mount Union returns to the court Tuesday, February 12 at 7 p.m. as they host Wittenberg for their home finale.